UT Idea Lab | IdeaLab takes best student teams to US! 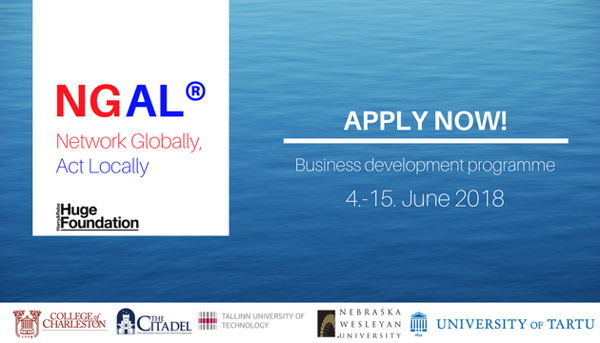 This year, an exclusive business development program NGAL® (Network Globally, Act Locally) takes place from 4th to 15th June, engaging five universities from USA and Estonia. The program starts with the boot camp at UT IdeaLab and ends with a launch-camp in Nebraska, USA. The University of Tartu will be represented by two teams: STARTER programme graduate CarZam and the rEstFind. NGAL® is a 10-days long learning programme for early-stage student teams. During the programme, student teams will develop their MVPs, get guidance from business mentors and have a chance to explore your business potential at the global market. The programme ends with the pitching competition in Nebraska where the best teams will be awarded. 6000 dollar award fund will be shared between top 3. University of Tartu will be represented by two teams: IdeaLab STARTER programme graduate CarZam and EstLat-Accelerate programme graduate rEstFinder. CarZam is creating a device that can be applied to a car's engine room, microphones and sensors track real-time sound and vibration of the car. Using machine learning advantages, the device compares received data to fully functioning car and displays an error as soon as it occurs. rEstFinder detects antibiotic resistance to discover best antibiotic therapy for infected patients. This bioinformatic approach is fast and will also give information about the seriousness of the threat by evaluating the virulence and the concentration of pathogens. This year, NGAL® takes place for the fourth time, linking two Estonian and three US universities: University of Tartu, Tallinn University of Technology, College of Charleston, The Citadel (Military College of South Carolina) and Nebraska Wesleyan University. Previous year the best idea that got the main price was from Univeristy of Tartu, team Cody.